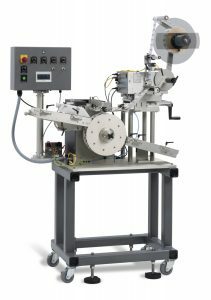 Labels round products up to 6″ in diameter at speeds of up to 100 per min. Variable speed components for greater product throughput. 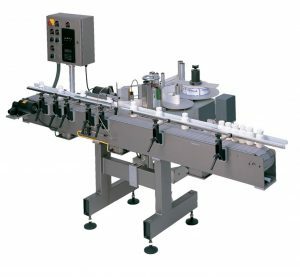 Automatic Labeling System for Round Products. 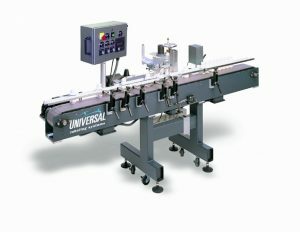 Meat trays & bakery clamshells are easily transported & labeled on the system’s split belt, adjustable widths, conveyor. Designed to automatically label various container shapes and sizes. 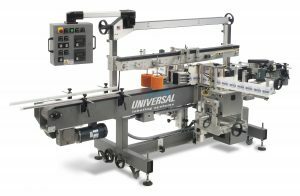 The CP-2000 can be easily changed over from labeling round bottles to oval or flat-sided containers. 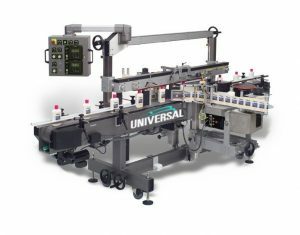 The optional square bottle wrap unit makes the CP-2000 a truly versatile labeling system.